April Fool’s! We’re sure someone has yelled that at you some point as you walked into a toilet papered house or got a pie in the face. Now’s the time for your revenge! We’re found some of the funniest, edible April Fool’s jokes for those who wants to literally give someone a taste of their own medicine. This prank is old school, but nevertheless funny. If you have an unsuspecting roommate or friend, sneakily substitute salt for sugar in the sugar bowl and wait. 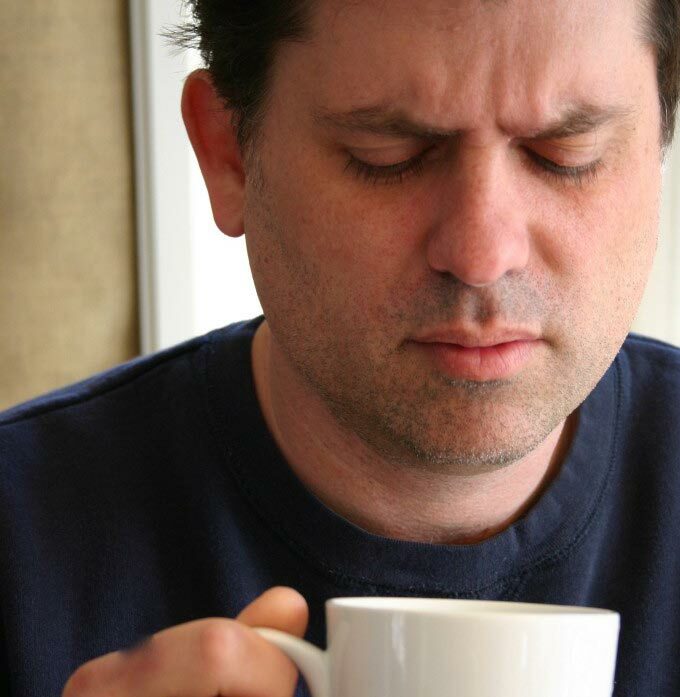 When they wake up or get home from work, ask if they want to share a cup of coffee or tea with you and try to keep your poker face while they spoon the salt crystals into their beverage. The reaction is always priceless. This probably made your face squish up with disgust, but that’s what this prank is supposed to accomplish! If you live with a friend or partner and have a dog, bake these cookies, leave one out on the floor (away from the dog of course), and wait until the prankee enters the room. When he or she does, say, “Is that what I think that is?” Then, walk over, pick it up, sniff it, and take a bite. They’ll practically faint! 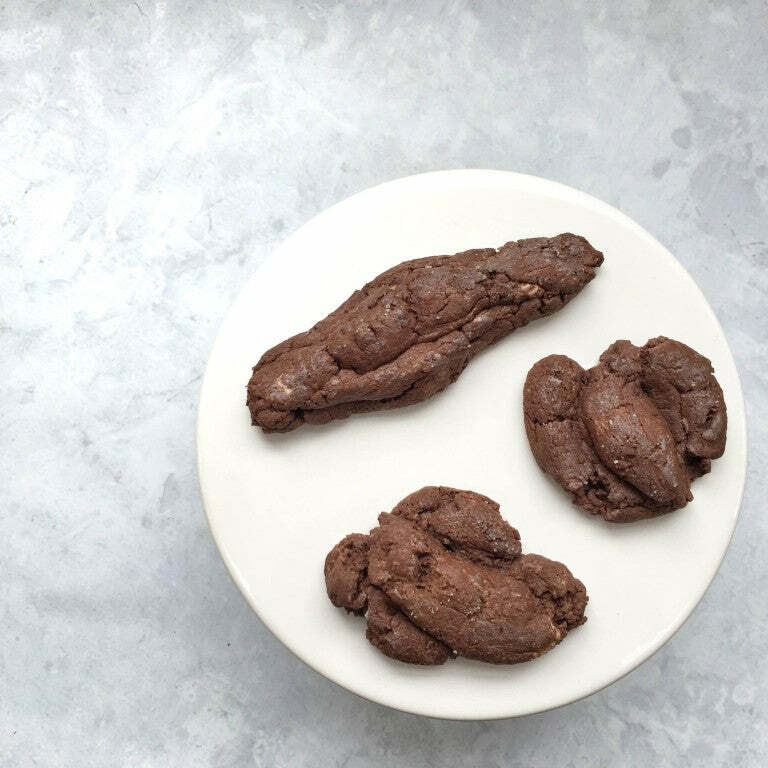 These “poop” cookies also make a hilarious prank when put in a paper bag and left on the doorstep of a friend. To see it all unfold, sneak up to the house, ring the door bell, run away and hide, and try not to die laughing when you see your friend’s face. This prank is perfect for parents with young kids. 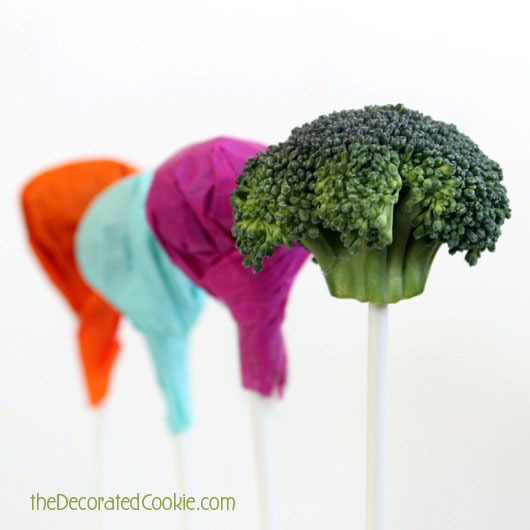 They’ll think they’re getting a sweet treat, but when they unwrap the lollipop they’ll find a head of broccoli instead! If you’re looking for more kid-friendly April Fool’s jokes, check out more of this blogger’s hilarious pranks. They’re sure to keep you in stitches and keep your children healthily wary of you and your tricks. Who knows, it might even help them behave better! Want to make your friends, family, and kids think you’re a total freak? Make these jelly worms and serve them for dinner! All you’ll need are a few straws and a basic (red or pink) box of Jell-O. The hard part will be keeping these jelly worms secret, but refrigerated, before you’re ready to pull your prank. Put them in an opaque container to keep the April Fool’s joke alive! 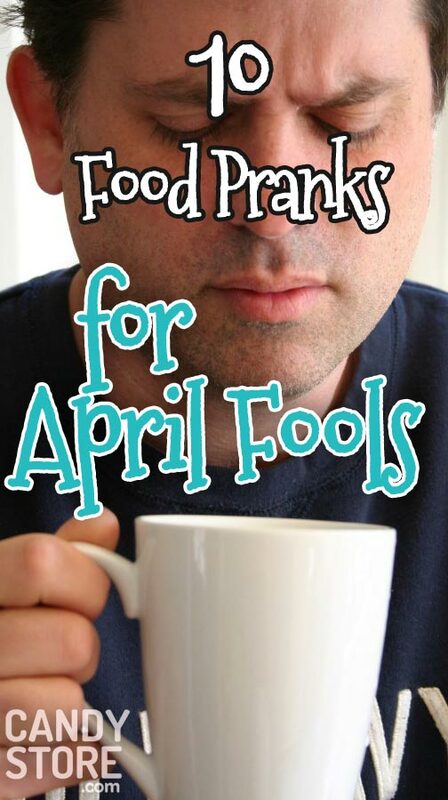 If you’re not afraid of making a huge mess, try this April Fool’s gag. You’ll need to carefully put flour or powdered sugar (or baby powder) on the top of the blades of a ceiling fan. If it’s connected to a light, just wait until the person you’re trying to prank comes home and watch mayhem ensue! This elaborate prank is too good not to be recorded, so set a secret camera to capture every hilarious moment. And have the vacuum cleaner ready on standby to clean up the huge mess. Talk about an unexpected snack. No one would ever expect to bite into what they think is a Whopper or chocolate ball and find a crunchy, cheese ball underneath. While chocolate goes with a lot of things, it’s not the best or most appetizing combo with bright orange cheese flavoring. Make these fake candies at home and then put them in your candy dishes at home. Invite guests over and be patient until they take a bite. Then it’s totally acceptable to erupt into fits of giggles. You won’t win “Parent of the Year” if you pull this prank on your kids, but you will keep them on their toes and well behaved! Trick your kids into thinking they’re about to enjoy a sweet, yummy caramel apple and surprise them with a spicy onion inside! They’ll probably be mad at first, but we’re sure they’ll laugh after they realize it’s all in good fun. But beware, they’ll be after you next year! While this prank involves delicious candy and fondant, it won’t initially taste as good because the prankee will think they’re about to enjoy a savory dish of spaghetti and meatballs! Pull off this April Fool’s joke by watching the detailed tutorial. Spoiler alert: it allows you to use the microwave to cook, so it’s pretty easy! April Fool’s jokes go over best when they’re rated G and don’t put anyone or anything in harm’s way. Stick to this list of funny yet mild tricks to keep everyone smiling on the biggest prank day of the year. If you get on anyone’s bad side, smooth it back over by shopping for candy gifts to say you’re sorry! you got really good ideas.